Lou Lou's Homemade: Put It All Together And What Do You Get? The last few posts I have shown you how to make a Chain Garland, a Satin Ribbon Garland, Cake Pops and Paper Baskets. But what I was really showing you, little by little, was how I was pulling together a small dinner party for some very special friends. 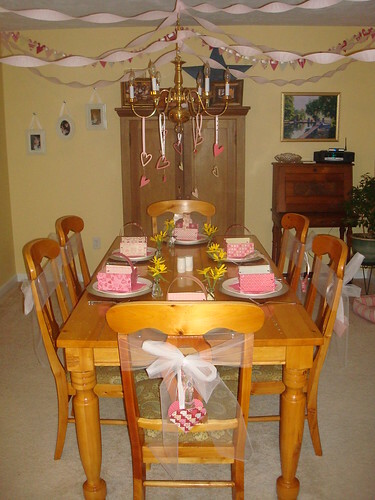 I added some crepe paper, some small hearts hanging from ribbons on the chandelier and some white tulle and colorful ribbon on the chairs. 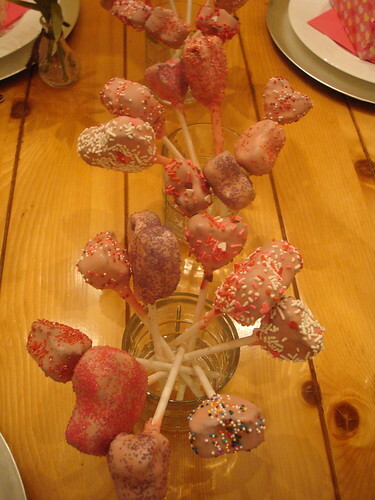 Then I set the table with the paper baskets for the Valentine exchange. 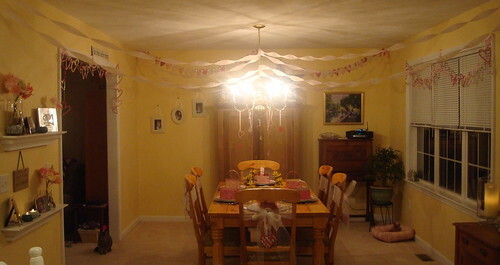 All in all, this whole room transformation was made with one pack of scrapbook paper, ribbon and tape. 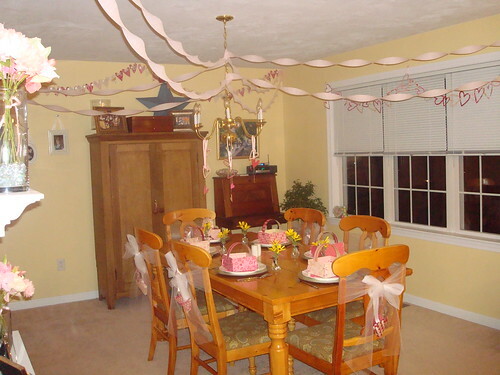 I added small embellishments like crepe paper and pink party napkins, but overall, the decorations and food were made by me. The whole space cost me less than $30 dollars and it created a mood and theme, welcomed my guests and made them feel as though I had gone out of my way just for them.